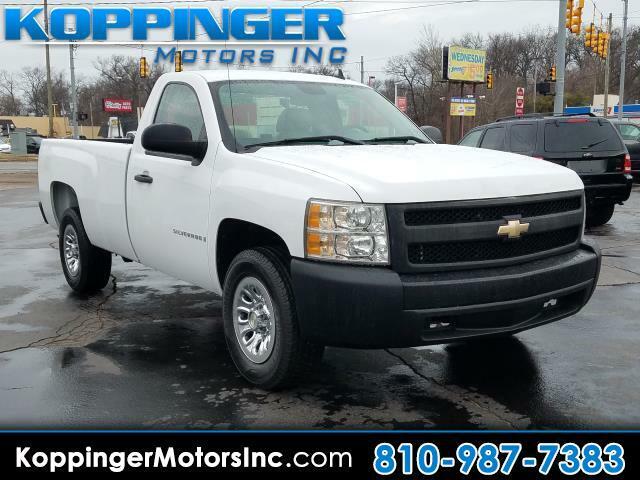 Used 2008 Chevrolet Silverado 1500 2WD Reg Cab 133.0" Work Truck for Sale in Fort Gratiot MI 48059 Koppinger Motors Inc.
Why choose between style and efficiency when you can have it all in this 2008 Chevrolet Silverado 1500? This Silverado 1500 has been driven with care for 162316 miles. You'll also love how it combines comfort and convenience with its: leather seats,mp3 audio input and power windows Real cars. Real prices. Real people. Start driving today.